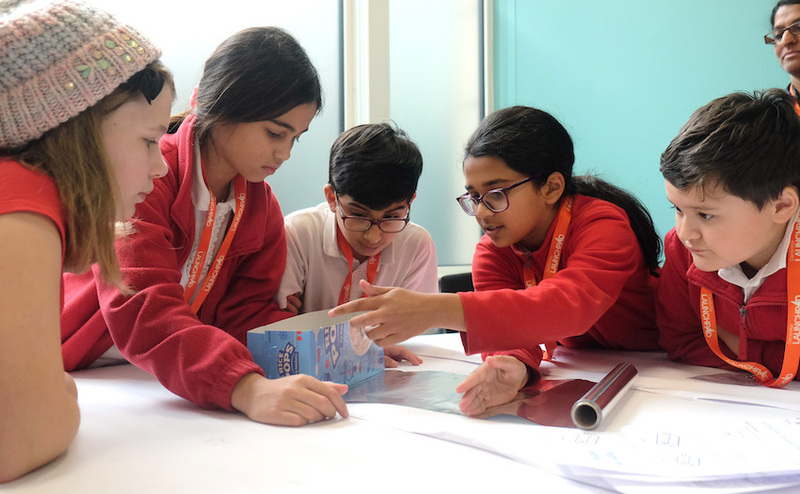 Over the course of the day, students took part in several activities inspired by the work carried out on a daily basis at Mott MacDonald. 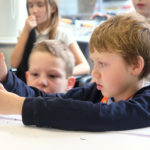 By giving the students an opportunity to apply skills learnt at school to a real-life project, Cambridge LaunchPad hopes to inspire them to think more about how they can develop this skillset as they move through their education and career pathways. Volunteers from Mott MacDonald, many at an early stage of their career, were on hand to assist the students through their various tasks. In each of the sessions, students were given ‘Mott MacDollars’ to teach them about the importance of working within a budget. Teams chose how to spend their money and once materials had been purchased began to build their projects. Students constructed: water filters for a town in Africa; energy efficient houses that were tested under heavy Siberian rain and structural beams made of ‘chocrete’ that had to be strong and stable. Some beams managed to hold an incredible weight of 18kg! Volunteers from Mott MacDonald lead students through the activities. Students worked in teams to make energy efficient houses. During one activity students were tasked to make an effective water filter. For many Cambridge LaunchPad ambassadors, leading sessions with students is something far removed from their day job. Giving them the opportunity to be involved with events like this enables employees to further their professional development by strengthening skills such as project management, leadership and communication. Throughout the day, students are also taught about the importance of these ‘soft skills’ that make up the Cambridge LaunchPad core values. 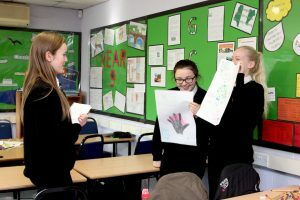 Teams from each school that showed the most improvement of these attributes across the day were then invited to attend an additional educational trip that will be held at the end of the academic year. 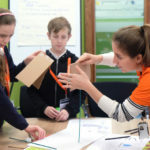 If you want to find out more about how to encourage the next generation of STEM professionals, please contact us at cambridge-launchpad@formthefuture.org.uk.